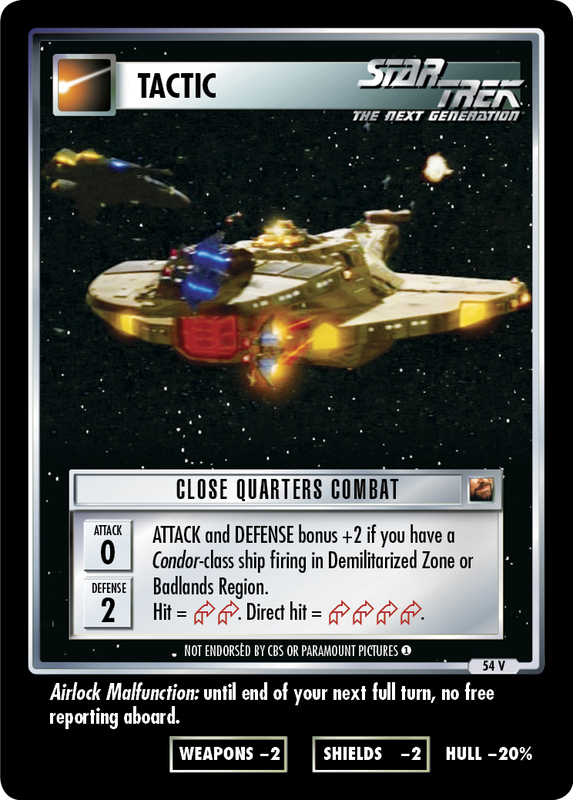 ATTACK and DEFENSE bonus +2 if you have a Condor-class ship firing in Demilitarized Zone or Badlands Region. Airlock Malfunction: until end of your next full turn, no free reporting aboard. Requires: Badlands region, Demilitarized Zone region, Condor-class. Card logging info: First edited by Telak at Jun 22nd, 2014. Please support openCards and validate game text of this card!